A once in a lifetime event calls for once in a lifetime venue. Set the tone of your future by getting married in the grandeur of Bell Mill Mansion. Our excellent service and sales team will be here to guide you every step of the way as you plan one of the most important days of your life. 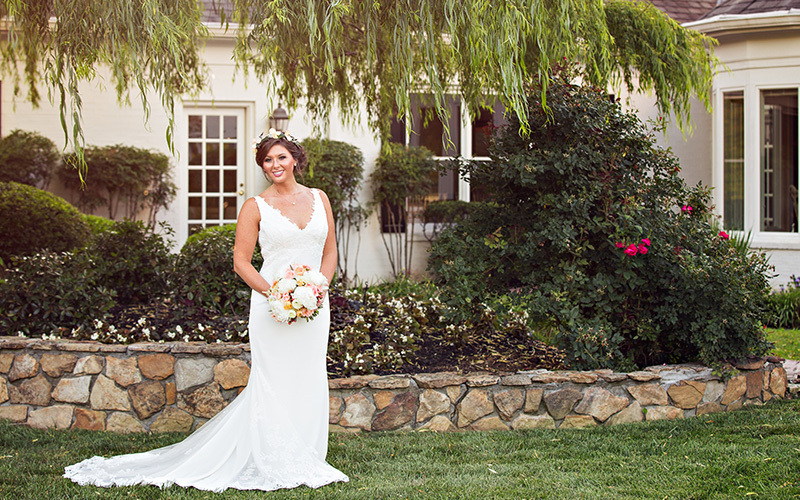 Everyone here at Bell Mill Mansion views our brides as friends and part of the Mansion family. Spend the weekend at Bell Mill Mansion to truly relax and enjoy your once-in-a-lifetime wedding moments. This package includes use of the property and its many amenities, optional onsite overnight accommodations, all meals and non-alcoholic beverage service including the rehearsal, wedding day breakfast and lunch, wedding reception, and after wedding brunch the following day. It also includes tables, chairs, set up, and staff for the weekend. Bar service options can be added for the weekend. We also offer Friday to Saturday only packages or Saturday to Sunday only packages for more budget conscious brides. 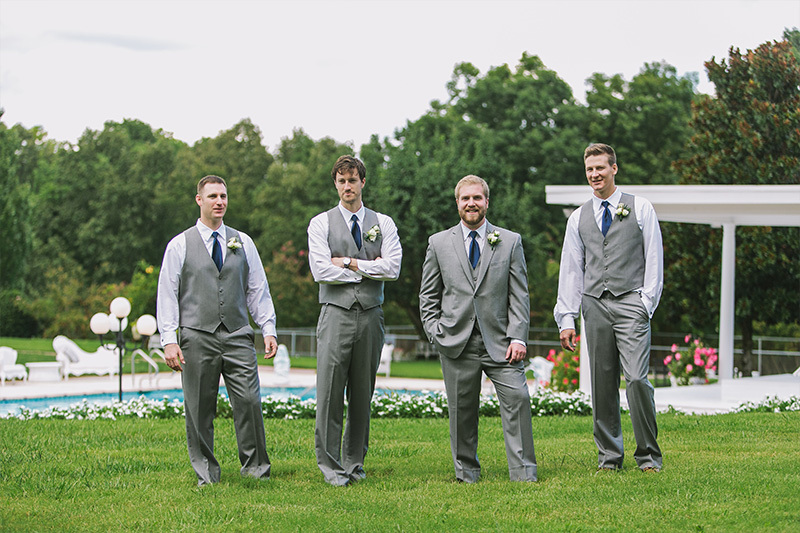 We custom design each wedding weekend to meet your needs and we welcome your requests. Custom pricing for these weekends can be obtained by visiting our Get Started Page ». Here is a suggested sample itinerary which can be customized to suit your needs. Arrive at Bell Mill Mansion at 4 p.m. where you can check in and begin to relax for the weekend. During warmer months, relax by the pool, take a walk around the gardens, enjoy the animals, visit the nearby creek, play a game of tennis, or just relax in a chair and savor the special time. Cooler months can enjoy indoor activities such as racquetball, billiards, treat yourself to the spa amenities, enjoy a movie, or just relax. 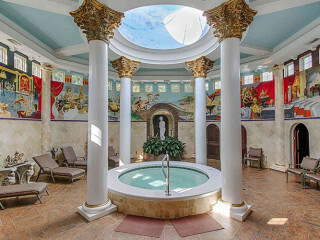 Around 5:00 p.m. you can get ready in our spa area and begin your rehearsal at 6:00 p.m. The dinner of your choice will be served for you and your guests following the rehearsal. Following the rehearsal dinner, enjoy a game of indoor racquetball or play a game of pool, relax in the Florida room to read or chat, take in a movie, or any other activity you desire before you retire for the evening in preparation for your big day. Wake to a freshly cooked breakfast and spend the morning getting ready in our world class spa. 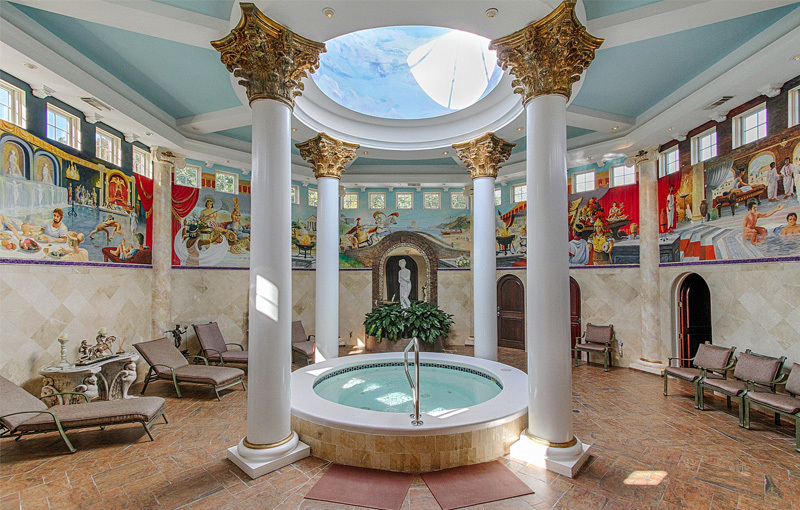 While girls attend to hair and make-up, manicures, massages, and all the little details, the gentlemen are welcome to enjoy the amenities of Bell Mill Mansion. Whether it be a game, a movie, or the pool, the choices are limitless. Light lunch service will be served together or separately for all of the guests on property. Additional guests can of course be added as you wish. Snacks will be provided throughout the day in the caterer’s kitchen upon request. Later in the day, as guests arrive, they will be ushered to the ceremony location where your special marriage will occur with the officiant of your choice. Music/entertainment of your choice will be playing while guests enjoy cocktails and hors d’oeuvres while you are taking photographs. Following photos, the dinner service of your choice will be enjoyed. After dinner, dancing and entertainment and celebrating will be the focus until 11 p.m. at which time the festivities will end and your guests not staying on the property will depart. You can be whisked off to your honeymoon that evening or spend one more magical night married at Bell Mill Mansion. Wake up to your first day of marriage with an after wedding brunch to celebrate with your immediate friends and family who stay with us overnight and then depart the grounds by noon. 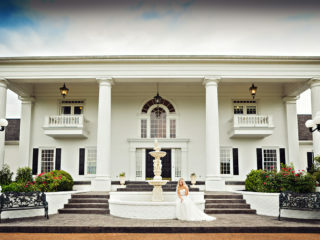 Bell Mill Mansion must be toured to fully be able to see what a magical wedding you can have here with us. No matter if you elect to stay Friday and Saturday only or spend the entire weekend with us, Bell Mill Mansion will be a wedding weekend to remember. There is nothing better than hosting a Southern outdoor wedding. With our sprawling 32 acres and private lush grounds, we have a variety of locations to invite your guests to for either your wedding ceremony or your wedding reception here at Bell Mill Mansion. 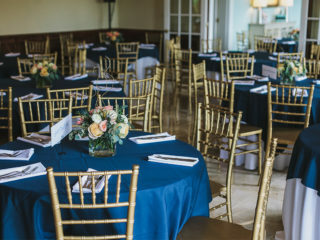 When you take advantage of our overnight accommodations, we have a variety of outdoor activities as well from our pool, tennis court, volleyball court, basketball goat, walking track, and other sporting options that are sure to keep your out-of-town family busy and happy before the big wedding day festivities. With so much to do at Bell Mill Mansion, outdoor events are simply perfect. If you are seeking a beautiful place to get married outside, then look no further than Bell Mill Mansion. We have an incredible selection of outdoor wedding ceremony locations that are sure to please almost any bride. 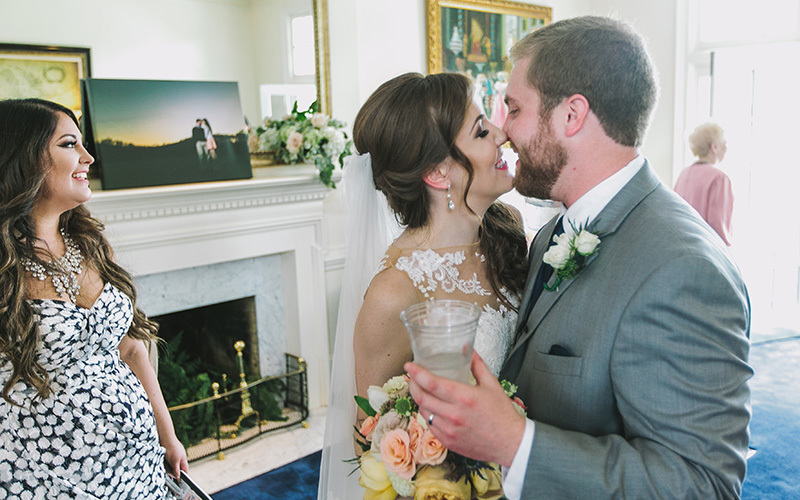 From our gorgeous front patio showcasing our Greek revival style Mansion with large white columns to our blowing weeping willow tree in the back garden area, we have once-in-a-lifetime ceremony locations at Bell Mill Mansion. In addition to our expansive outdoor wedding ceremony and reception location options, we do have indoor space in the event of rain or we welcome tents anywhere on our rear lawn for the perfect complement to our hot summers. While the ceremony is up to you, your spouse, and your officiant, the wedding reception is up to us. 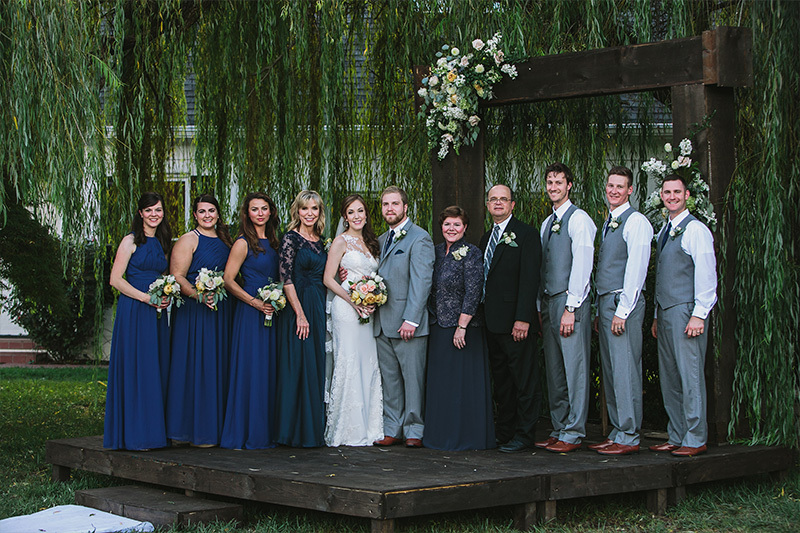 All of us here at Bell Mill Mansion take our wedding receptions very seriously and we want them to be a time to celebrate your marriage and your wedding ceremony with your closest friends and family in an environment that will allow you to relax and have fun because you know we are handling everything for you. 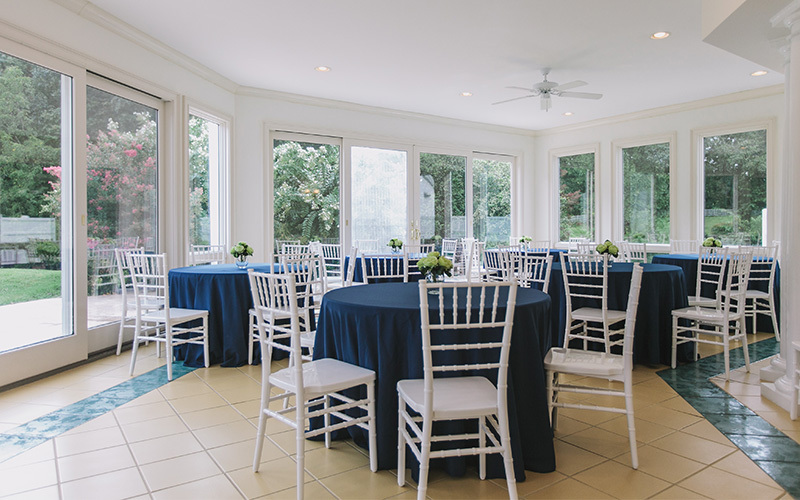 We have both indoor wedding reception options as well as outdoor locations as well, so your wedding reception will be absolutely stunning at Bell Mill Mansion. We are happy to assist you in finding the perfect vendors for your wedding reception and are looking forward to working with you to create the wedding day of your dreams. We strongly encourage you to book wedding weekend accommodations a year in advance to ensure the entire weekend is available for your use as we book on a first come first serve basis. With availability, we will of course book these anytime. or call us directly at 423-894-0115 so we can share in the most important day of your life here at Bell Mill Mansion.